Hasbro, the maker of the Monopoly board game had a stroke of genius and created a killer promotion for people to vote on which current game piece should be retired and which new piece should take it's place. I'm not going to lie. I voted. A lot. I didn't want to see the race car or the shoe disappear. Those two were always my favorites. 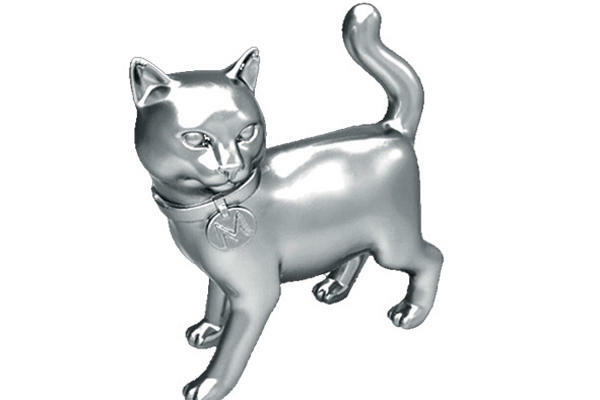 So, the old iron goes away and the funky feline will now start showing up in the board game. Personally, I think the wheelbarrow should've gone away. But I get the disdain for the iron. It's just not very substantial. And who wants to use an iron anyway? There's nothing endearing about it, I suppose. Hasbro has juggernaut promotion here, as people have been buying up the "old" games with the original pieces in them as keepsakes and now surely many more people will purchase a new game, with the cat token. Brilliant. What do you think? Agree with the change? Drop us an email.